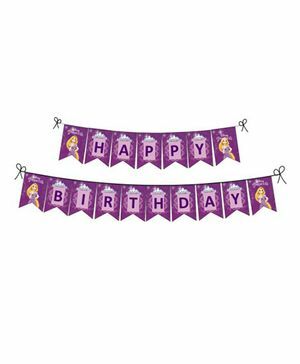 Bold cheerful banner wishes a Happy Birthday for everyone. Whether hung in a living room, entrance way, outdoors or in a banquet hall, this special bunting can be used for a special party. This is a beautiful accent to your theme.